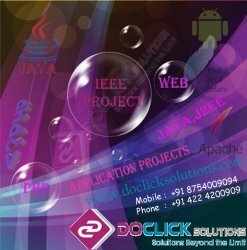 Doclick Solutions is a Software Training with Development Institute. We train the students to bring out the knowledge to develop projects and execute them successfully. We help students to create academic live projects and IEEE projects trained by experienced real time consultant currently working on multiple MNC projects.